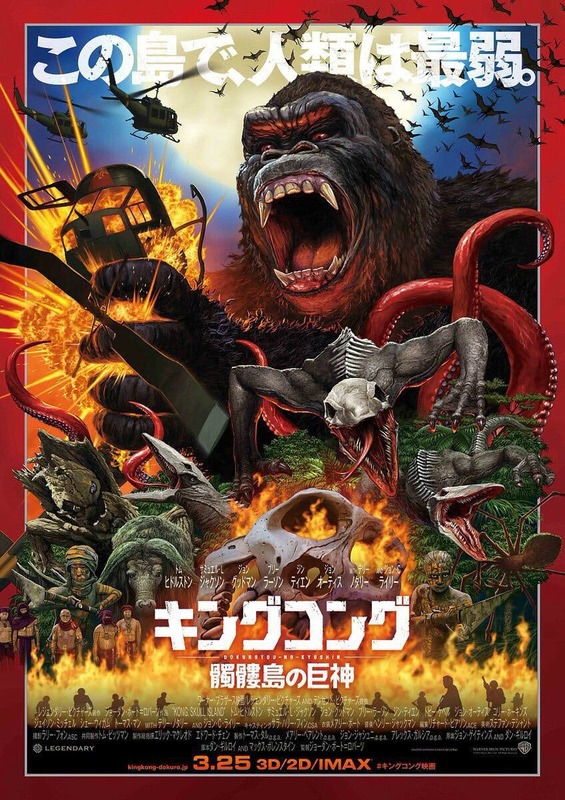 Kong: Skull Island hits stores tomorrow but in Japan it hits one day later with a cool bonus, some Limited Edition Japanese versions will feature the Japanese poster art on the cover (above and below), some others will feature it on at least one of the discs. Most specs are the same as the US versions but with Japanese language track/subtitles included. Of note these are region free discs and include English language as well and these are available from Amazon Japan so they can be shipped overseas. Regular retail is about $35 US. Kong: Skull Island Official Blu-ray/DVD Press Release From Warner Bros.
See the origins of one of the most powerful monster myths of all when Kong: Skull Island arrives onto Ultra HD Blu-ray Combo Pack, Blu-ray 3D Combo Pack, Blu-ray Combo Pack and DVD on July 18, or early on Digital June 20 from Warner Bros. Home Entertainment. This compelling, original adventure from director Jordan Vogt-Roberts (The Kings of Summer) tells the story of a diverse team of scientists, soldiers and adventurers uniting to explore a mythical, uncharted island in the Pacific, as dangerous as it is beautiful. Kong: Skull Island stars Tom Hiddleston (The Avengers, Thor: The Dark World), Oscar nominee Samuel L. Jackson (Django Unchained, Pulp Fiction), John Goodman (Transformers: Age of Extinction, Argo), Oscar winner Brie Larson (Best Actress winner for Room) and Oscar nominee John C. Reilly (Chicago, Guardians of the Galaxy). Vogt-Roberts directed the film from a story by John Gatins and Dan Gilroy and a screenplay by Dan Gilroy and Max Borenstein. Kong: Skull Island is produced by Thomas Tull, Mary Parent, Jon Jashni and Alex Garcia, with Eric McLeod and Edward Cheng serving as executive producers. 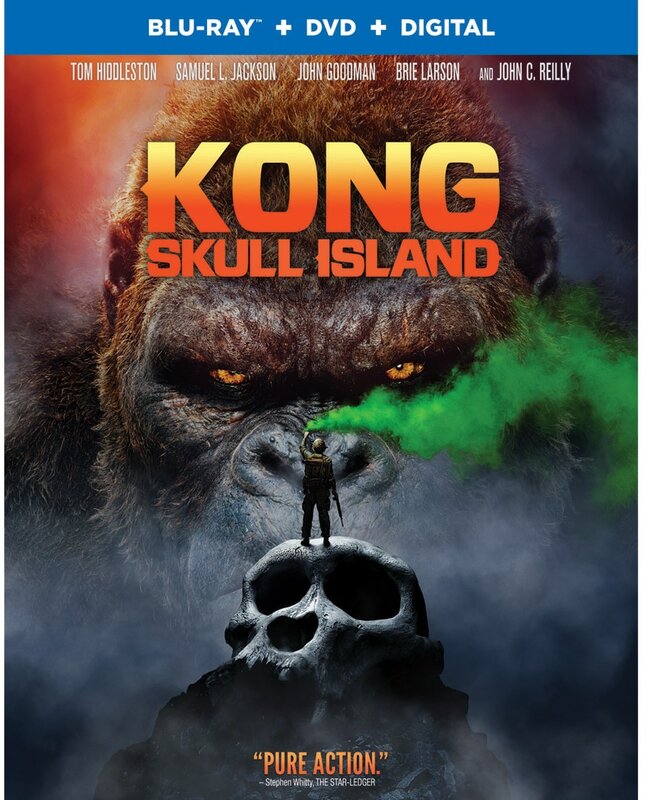 To fully immerse audiences in the mysterious Skull Island, director Jordan Vogt-Roberts and his team filmed across three continents over six months, capturing its primordial landscapes on Oahu, Hawaii, Australia’s Gold Coast and Vietnam, filming across multiple locations, some of which have never before been seen on film. 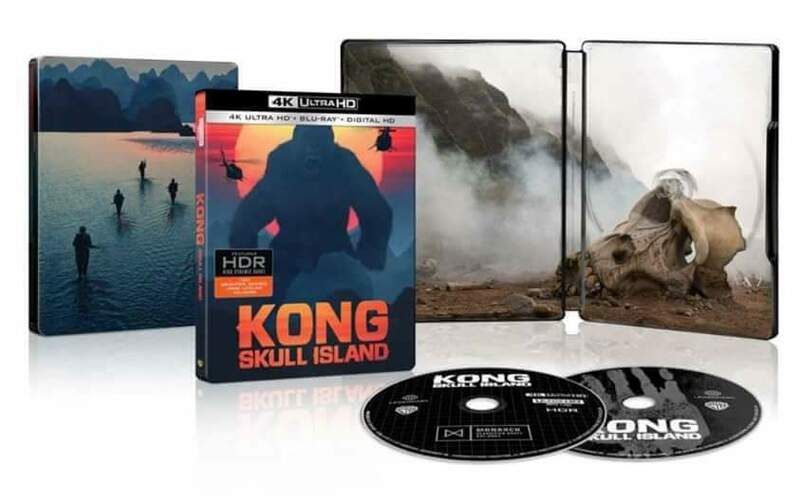 Kong: Skull Island will be available on Ultra HD Blu-ray Combo Pack for $44.95, Blu-ray 3D Combo Pack for $44.95, Blu-ray Combo Pack for $35.99 and DVD for $28.98. The Ultra HD Blu-ray Combo Pack features an Ultra HD Blu-ray disc with the theatrical version in 4K with HDR and a Blu-ray disc also featuring the theatrical version. The Blu-ray 3D Combo Pack features the theatrical version of the film in 3D hi-definition and hi-definition; the Blu-ray Combo Pack features the theatrical version of the film in hi-definition on Blu-ray; and the DVD features the theatrical version in standard definition. The Ultra HD Blu-ray Combo Pack, Blu-ray 3D Combo Pack and Blu-ray Combo Pack include a digital version of the movie. 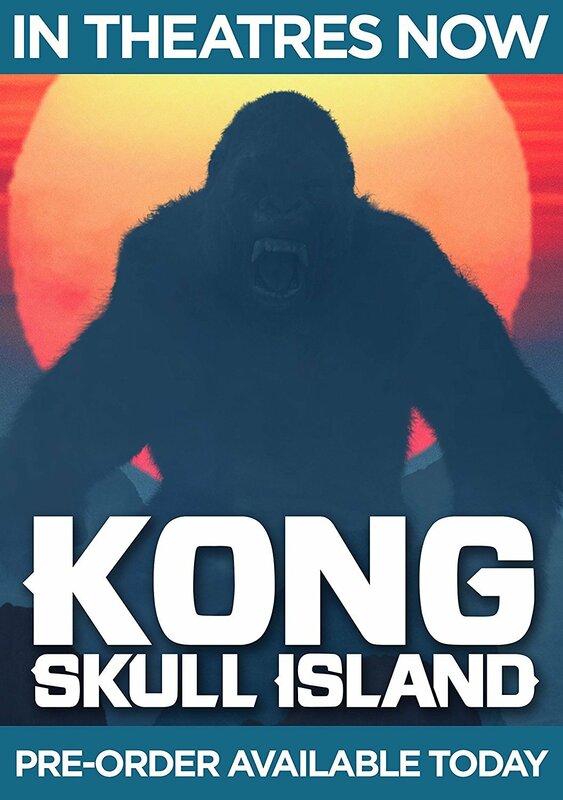 Fans can also own Kong: Skull Island via purchase from digital retailers beginning June 20. This compelling, original adventure tells the story of a diverse team of scientists, soldiers and adventurers uniting to explore a mythical, uncharted island in the Pacific, as dangerous as it is beautiful. Cut off from everything they know, the team ventures into the domain of the mighty Kong, igniting the ultimate battle between man and nature. As their mission of discovery becomes one of survival, they must fight to escape a primal Eden in which humanity does not belong. Check out our previous post on the release featuring the Best Buy Steelbook, and the King Kong (2005) 4K release here. 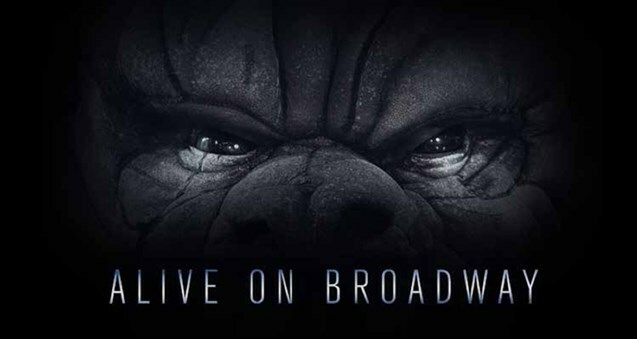 King Kong to open on Broadway in Fall 2018 at the Broadway Theatre. Update: Tickets for Kong are on sale with dates for previews on Friday, October 5, 2018, with an official opening date on November 8. More info on the cast once available, for official website click here. While Kong: Skull Island is finishing up it's release in theaters we have now found out it's release date for home video. Kong: Skull Island will be released on 4K Ultra HD Blu-ray, 3-D Blu-ray, Blu-ray, and DVD on July 18. Best Buy will be offering an exclusive SteelBook version featuring the 4K, 3-D, Blu-ray, and digital copy for $39.99. The non-SteelBook 4K version will retail for $34.99, Blu-ray/DVD for $27.99, and DVD for $19.99. There is no word yet on any bonus content (deleted scenes, behind the scenes, etc.). We will update once we have more info. Also being released the week before on July 11 will be the 4K version of 2005's King Kong, the King Kong Ultimate Edition 4K Blu-ray features three disc (details below)and retail for $39.99. The film has previously been released but not the 4K version. 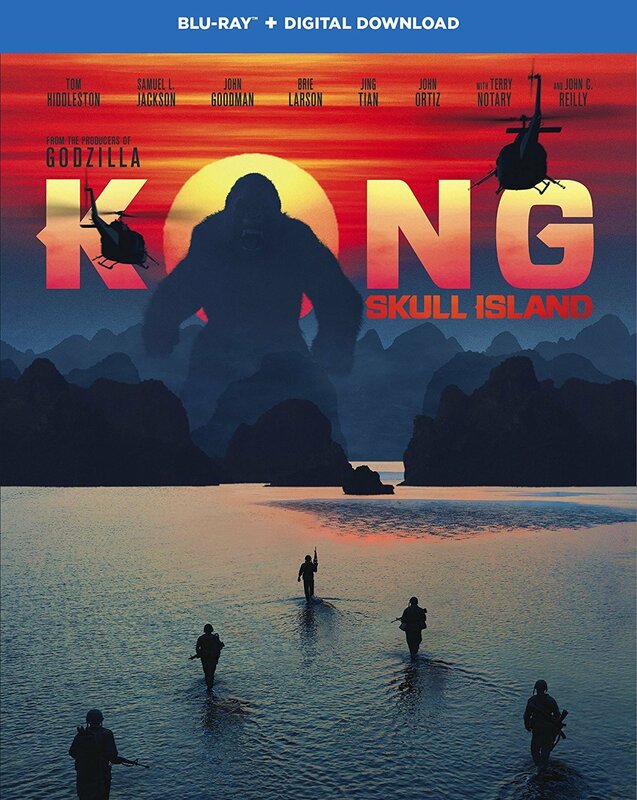 As we thought Kong: Skull Island passed King Kong 2005 in it's worldwide box office numbers, they are estimates but should hold. Skull Island is now at $552.3 million, King Kong 2005 finished with $550.5 million (it has already passed Godzilla 2014). Skull Island's box office numbers have been helped by the international box office which accounts for about 70% of the total take by the film, $391 million. Both Godzilla 2014 and King Kong did around $330 million internationally (China has been Kong: Skull Islands biggest market), Skull Island trails both in the US but has still had a strong showing. ​Skull Island has held up pretty well despite having some major films being released right after it, Beauty And The Beast, Boss Baby, Power Rangers, and The Fate of the Furious this weekend, as well as Logan right before. As we predicted back on March 13th here, Kong has now passed Godzilla 2014 with it's worldwide box office take $534.4 to $529 million. Kong is at $156.5 million in the US with it's international box office of $377.8 million, while Kong has not caught Godzilla in the US it has crushed it overseas. Kong has shown it is not slowing anywhere as much as Godzilla did, in it's fifth weekend (this weekend) Kong finished with approx $5.8 million, Godzilla finished with about $3.2 million in it's fifth weekend. ​China has been a boon for Kong, it's at approx $161 million (1.11B RMB) there passing it's US take. Kong is fourth at the Chinese box office for 2017 and can easily be well into third by the time it finishes, at least till a few of the summer blockbusters hit (although Kong has crushed Beauty And The Beast there so it could remain that high). It is definitely not unrealistic for Kong to hit $600 million worldwide by the time it finishes passing King Kong 2005's $550.5 million worldwide total as well. Kong: Skull Island is closing in on the $500 million mark worldwide, $477.4 million currently to be exact. Kong also hit $124 million in China, it has already surpassed Godzilla, Pacific Rim, Batman v Superman, Interstellar, and The Hobbit: The Battle Of The Five Armies there and this is only it's second weekend. Kong's US total is just short of $150 million ($147.8) with it's international total at $329.5 million. Kong has also surpassed Godzilla 2014's international total which was $328.4 million. There is a good chance Kong may hit the $500 million mark by the end of this week and surpass Godzilla's total worldwide take by the end of next weekend. Domestically Kong has been dropping off less than Godzilla did, in it's third week Kong beat Godzilla (by approx $3 million) despite Godzilla having started stronger. Kong: Skull Island opened in China with a massive take of $72.1 million, and is nearing $400 million worldwide ($392 million). The film has shown a strong showing despite other big film releases like Beauty And The Beast and Power Rangers. Kong is over $133 million in the US and over $258 million internationally. Kong beat Godzilla's China opening but fell slight short of beating it's total take there. Kong could easily finish around $500 million when all is say and done. Kong: Skull Island opens this weekend in China and early estimates are that the film will pull in roughly $75 million (500 million Chinese Yuan). If this holds true Kong will come close or possible beat Godzilla 2014's total take in one weekend, Godzilla made $77.6 million total in China. Kong will probably beat Pacific Rim's China take by it's second weekend, it finish with almost $112 million there. The view is that Kong may be the number one film in the China box office (possible total of $160 million), at least till Furious 8 opens. Kong's total box office currently stands at $308 million worldwide, and could be well over $400 million by the end of this weekend with it opening in Japan as well. 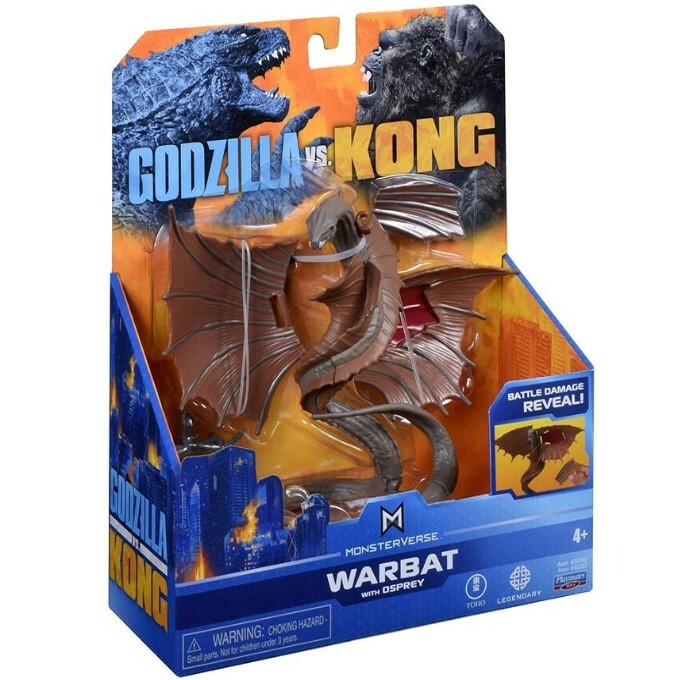 If everything plays out our prediction that Kong will beat Godzilla's total is looking more likely. 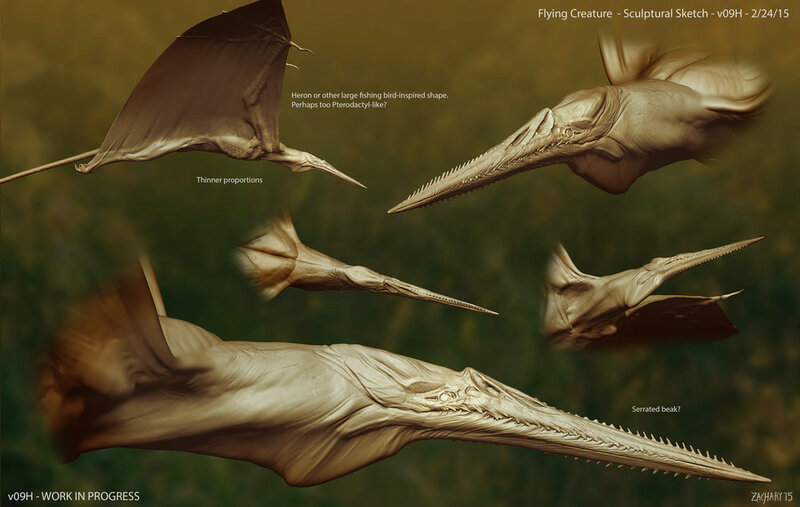 Concept artist Zachary Berger has worked on a number of films including Logan, The Mummy (2017), and Kong: Skull Island. 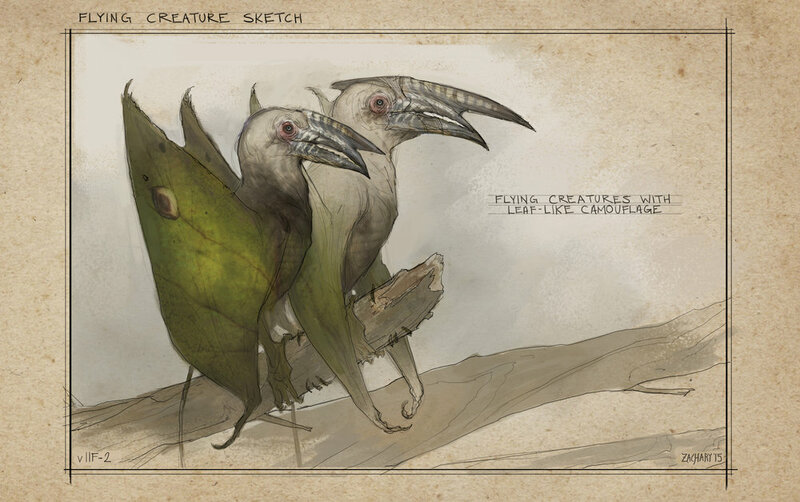 His art shows early concepts and designs for the many creatures and and visuals of Kong: Skull Island, below we have some of his art with a brief explanation/speculation (ours, not his). These few shots give a very good idea of what the arrival to what Skull Island would look like, he seems to have gotten pretty close to the final film, the ship, the storm, and the visual of first seeing Skull Island. 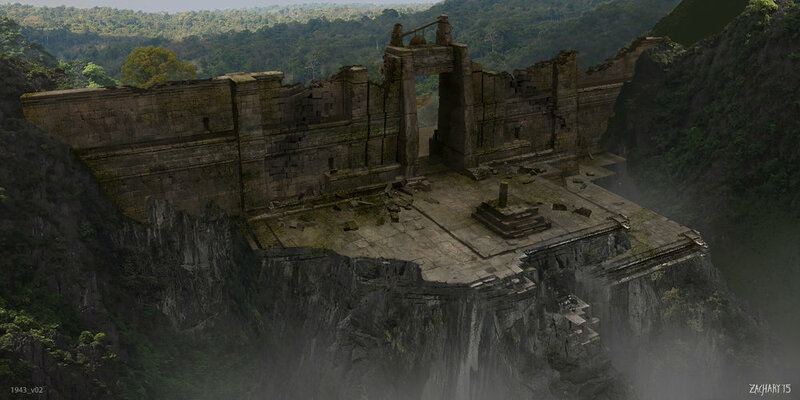 Wall concepts, while these designs never made the film they show a more modern version of the famous wall, be built from some type of stone blocks, it possible the film makers felt it was to modern. 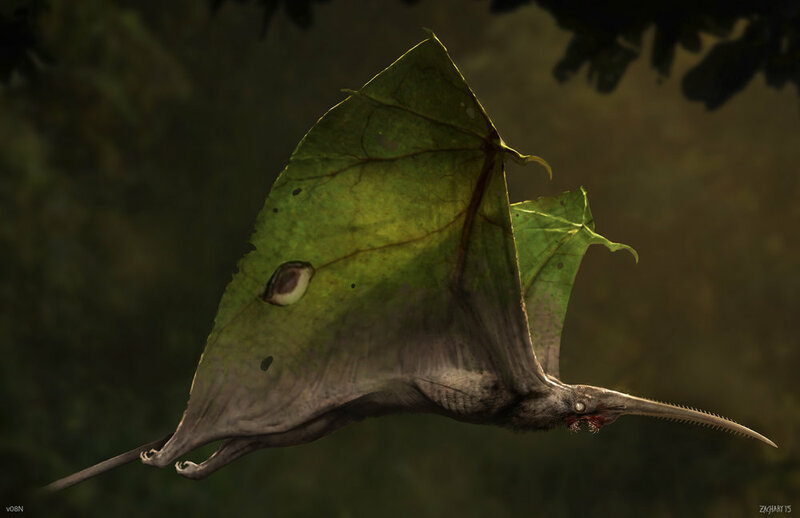 Flying creatures, his concepts show designs that would have fit into nature, the wings having the look of leaves, as well as very deadly features like a serrated beaks. 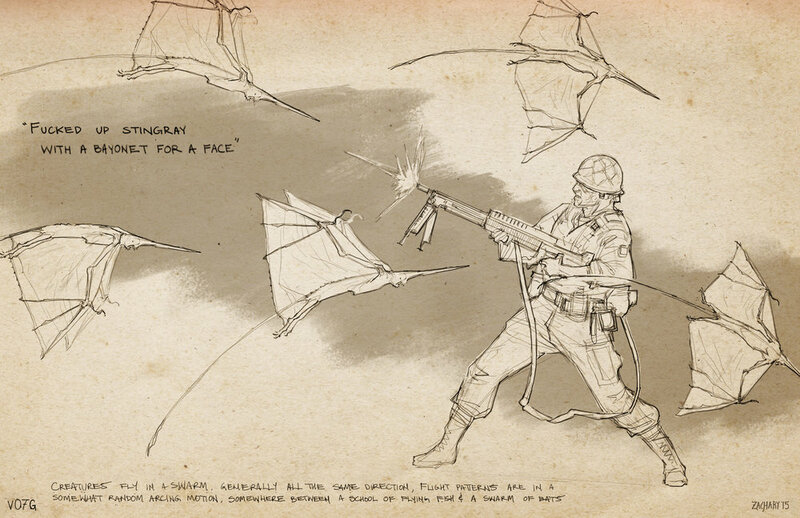 While a version of these made the film it would have been interesting to have learned more about them based on these concepts. 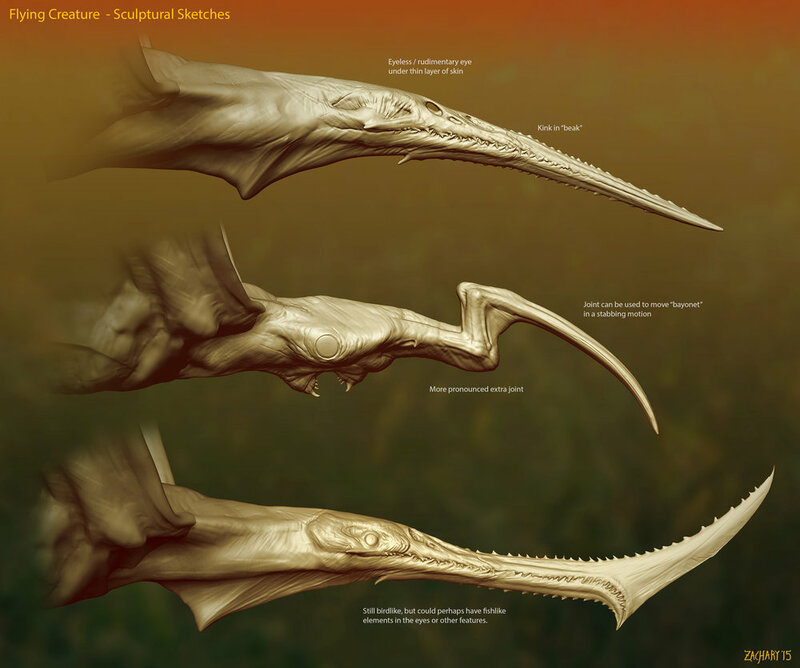 Skullcrawlers, his designs definitely show the starting point of the Skullcrawlers we ended up in the film. 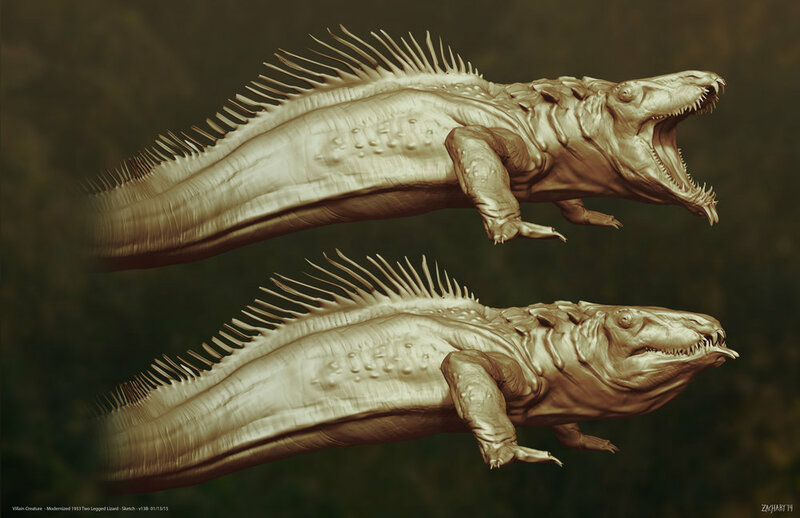 He based them directly on the original creature in the 1933 film and gave them a more modern look, with more pronounced features of the original creature. We got some of these in the final design but his design is much closer. Skull Island visuals, while the bottom pic is pretty close to the final films "Boneyard", the top one shows a much more interesting altar to Kong's kind by the islands natives. 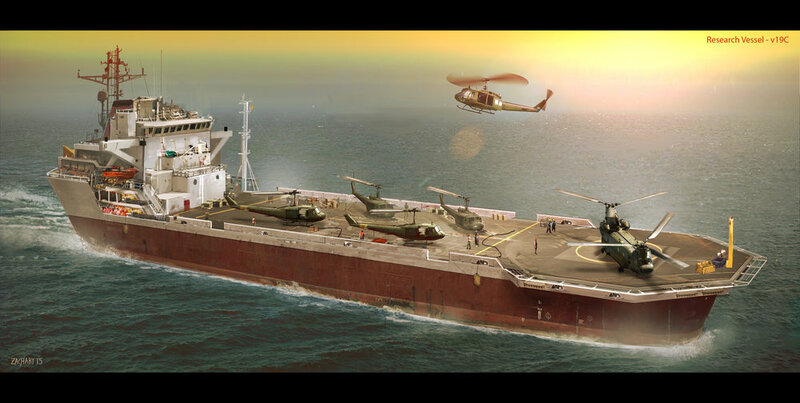 This would have looked great had it been done. 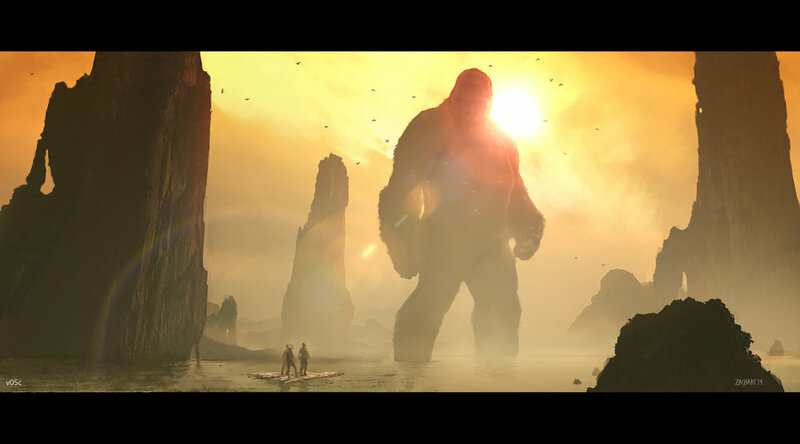 His concept of Kong is right on the mark, very close to the design and scale in the final film.